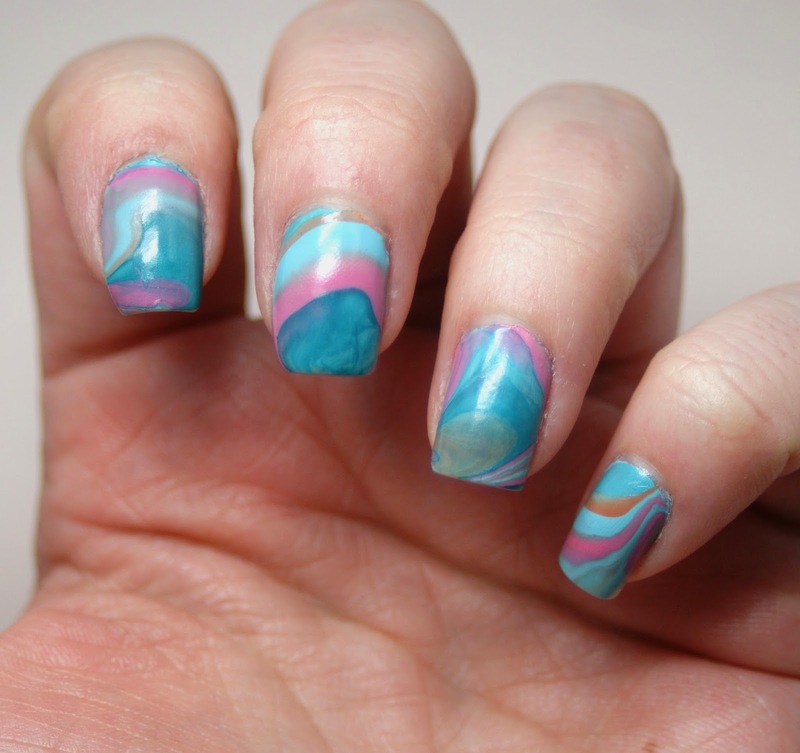 I haven't done a water marble in what seems like FOREVER, so I decided when I received the Barielle Gentle Breeze collection for spring 2015, I would have to give it a shot! According to Barielle, the Spring collection "reflects the soft, gentle, eclectic hues of this most welcome and delightful season." It is definitely atypical of other brands' spring collections, but that's not really a bad thing. Prior to starting the water marbling process, I painted on two coats of Under the Sea as the base. I initially didn't intend for this to have a very soft, watercolor look, but a few of these shades (Champagne and Bubbles, Under the Sea, and Heaven Sent) are on the sheerer side. I really loved how this came out, even though the colors bled together. It actually made a pretty watercolor effect! 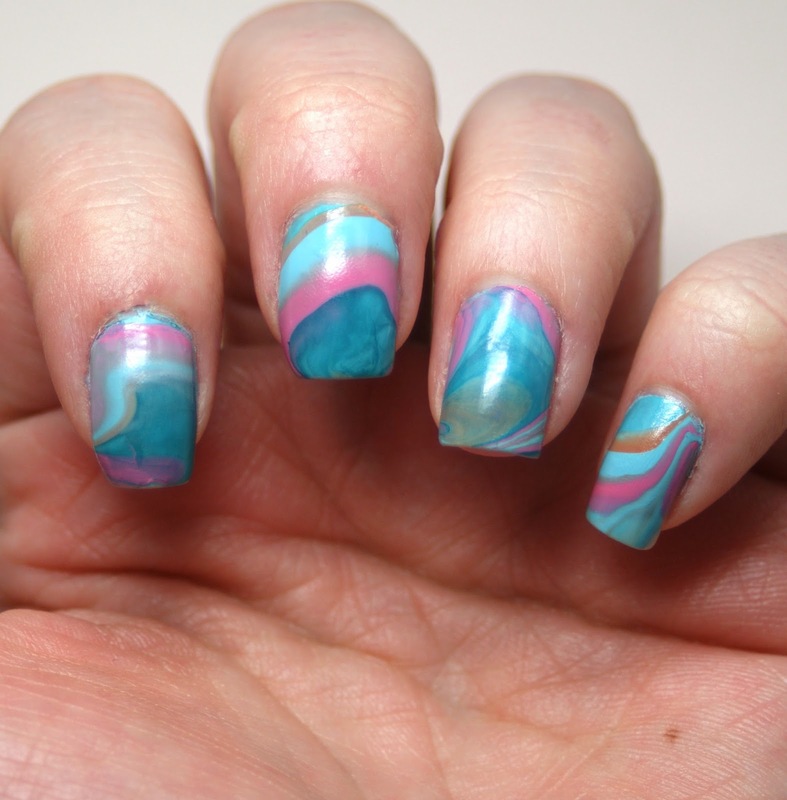 I am TOTALLY in love with this water marble. I wore it for a full week before I managed to take it off! The Gentle Breeze collection is available from Barielle as a set for $25 USD. What do you think of this watercolor look? This looks so cool! I definitely need to check out more Barielle polishes. I only own one!